Colorado is well-known not only as a state of extraordinary natural assets – it is also the area that regularly gets the most devastating hail storms in the nation, extreme events that cause damages of millions of dollars in the area year after year. May 8, 2017 – the costliest hail storm in history swept through Golden, Wheat Ridge and the north-western part of Denver and it caused almost 1.5 billion in damages. 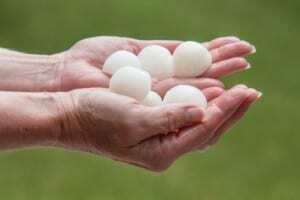 If your home is damaged by hail, call on hail damage repair Colorado Springs roofing company experts to make sure your home or business receives the upmost care and attention.